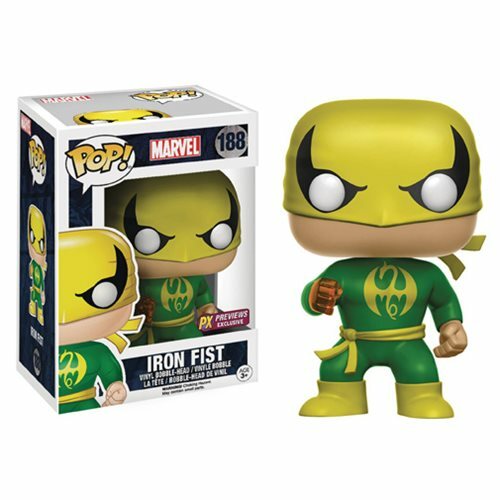 Wearing his classic Iron Fist outfit, Marvel Comics’ kung-fu master joins Funko’s fan-favorite POP! Vinyl Figure line with this new figure, available exclusively through PREVIEWS and your local comic shop! Standing 3 3/4” tall, Iron Fist sports the urban, stylized design that has made these figures so popular with fans and collectors. Window box packaging.